One of the most critical aspects of IT is user management. After all, connecting users to the IT resources they need is not only a crucial operational function, but is also a matter of security. But, what do you need to take into consideration for user management in this modern era? 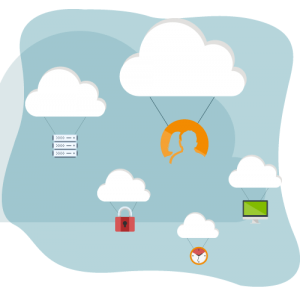 Well, in this article, we’ll provide an introduction to user management that’s fit for the age of cloud infrastructure, web applications, and other types of new IT resources. First, let’s take a quick look at what is user management and how IT admins have historically gone about it. User management describes the myriad tasks behind making sure employees get access to the right systems, applications, file storage, and networks. It also entails making sure that users are implementing best authentication practices like strong, complex passwords and that access is revoked when an employee leaves the company. All in all, when proper user management isn’t in place, it’s challenging to keep company data secure, to provide a seamless workflow for end users, and for IT admins to make progress on higher value projects. It’s not really an IT management tool you want to take shortcuts with. So what options are there for user management? Since the late 90’s and early 2000’s, IT admins have really had two options for user management. 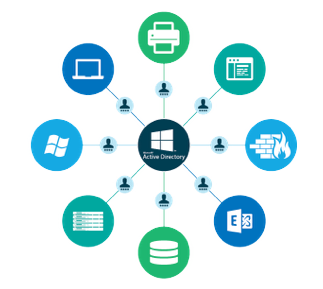 They could manually manage users in each individual IT resource or via the legacy directory services solution, Microsoft® Active Directory®. Of the two, Active Directory was the ideal option because all of the common resources at the time could be integrated with the directory service. This setup provided one central place where IT could make changes and have those changes propagate to all of the necessary digital tools. This user management option was quick, secure, and less prone to human error. Ultimately, this is why centralized user management platforms such as AD ended up being so successful. Of course, there were other reasons as to why Microsoft’s on-prem directory service was historically the user management solution of choice. The main reason being most environments were filled to the brim with other Microsoft products like Windows®, Outlook®, Exchange®, and Office®, to name a few. Active Directory was created to manage users in this exact setup, and it served its purpose pretty well. Hence, it became the leading user management solution. One other feature that cemented AD’s reign for years to come was its system management capabilities with Group Policy Objects (GPOs). GPOs provided precise control over Windows system behavior, which IT admins greatly appreciated. So, with one solution, IT admins not only had centralized management over their users but systems as well. What more could they need? Well, the IT landscape has changed a lot over the last decade. It is much more heterogeneous thanks to the surplus of web-based applications, the new-found popularity for Mac® and Linux® systems, and the growing shift towards cloud infrastructure like AWS®. As a result, Active Directory’s approach to user and system management has started to break down. More and more, IT admins and MSPs are required to either manually manage user access or to purchase add-on solutions to Active Directory. Neither of those options are all that palatable for IT organizations because both come with their fair share of hassle. When you couple that with the shift of IT management tools to the cloud, it’s clear that a new generation of user management platform is needed. This next-gen platform should be able to run entirely in the cloud and connect users to almost all of their IT resources regardless of location, protocol, provider, and platform. It’s a tall order, but one that JumpCloud® Directory-as-a-Service® is ready to fulfill. JumpCloud is a cloud-based directory service that has empowered over 50,000+ organizations to Make Work Happen™ for everyone within an organization. 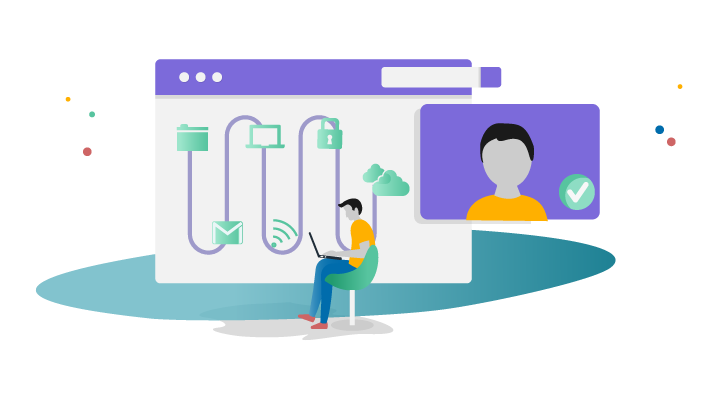 Our next-gen user management platform supports all major systems (Mac, Linux, and Windows), LDAP and SAML-based applications, Samba-based and cloud file storage, RADIUS networks, and so much more. Additionally, cross platform GPOs and powerful identity security features mean you can strengthen security alongside increasing productivity. The result is that benefits abound for end users and IT admins alike. On one hand, end users gain one set of credentials that gives them frictionless access to everything they need to do their job. On the other hand, IT admins gain a secure, well-controlled environment without it costing a ton of time and money. That’s the beauty of harnessing an identity management solution that’s fit for the cloud-forward era. Ready for more information after this introduction to user management with JumpCloud? Consider signing up for a free account. 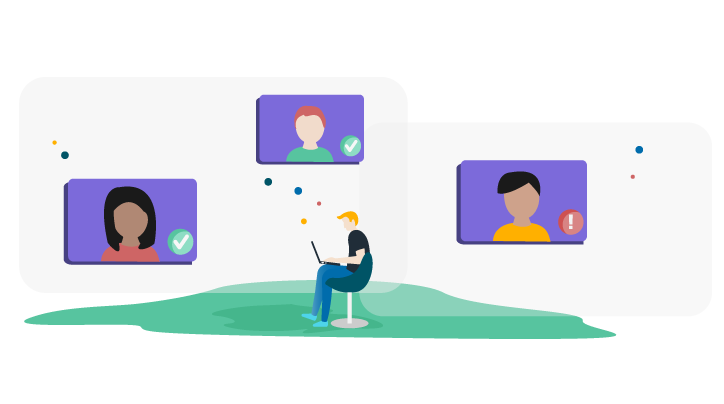 With your first ten users free forever and unfettered access to the platform, you’ll be able to truly test what JumpCloud can do for your environment. Of course, if you’d rather see what a cloud-based directory service is capable of without doing all the work yourself, contact us about a free demo. Lastly, you are also more than welcome to drop us a note with any questions you may have about the product. One of our technical experts will be glad to help you.